Wow! I didn’t mean to be absent for so long from the blog! And, since I haven’t posted in so long, I still haven’t shared my friend Sam’s donation project: Bertie’s Blankets. Sam decided to make some blankets to donate to Trinity Hospice in honor of her Dad and the care he received there. Initially, she is putting together 3 blankets to donate. Two of these are knit/crochet blankets, either an aran/worsted weight sampler afghan or a scrappy sock yarn blanket. The other is a wonky log cabin quilt. If you’re interested in donating squares for any of these blankets, here are the guidelines. Since I’ve been sewing more recently, I also made some squares to add to the wonky log cabin quilt. * Thanks, Sam, for the beautiful pictures of my squares! 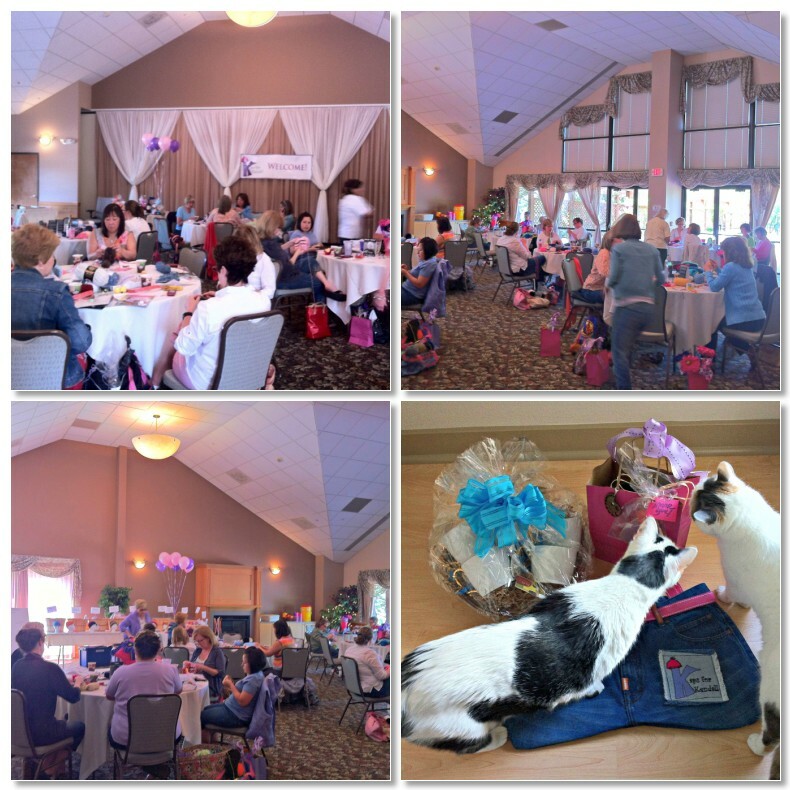 This past Saturday was Kaps for Kendall’s 2nd Annual Knit-In to Knit Away FA. I had a great time knitting hats with the other 40 or so women who were there that day! It was a fun day of knitting, random prize giveaways and learning more about Kaps for Kendall. Since they started in 2004, Kaps for Kandall has raised over $90,000 for the Fanconi Anemia Research Fund, and they have donated over 3,000 hats to people in need! Knitting, knitting, and more knitting! Kennedy and Charlie check out the goodies. Knitters brought in 360 hats to donate on Saturday! I want to thank Mrs. C, a friend’s mom, who crocheted several hats to donate. I’m not sure how many hats we actually knit on Saturday, but for every hat finished the knitter popped a balloon. There was a lot of popping throughout the day, and there weren’t any balloons left by the end of the day! 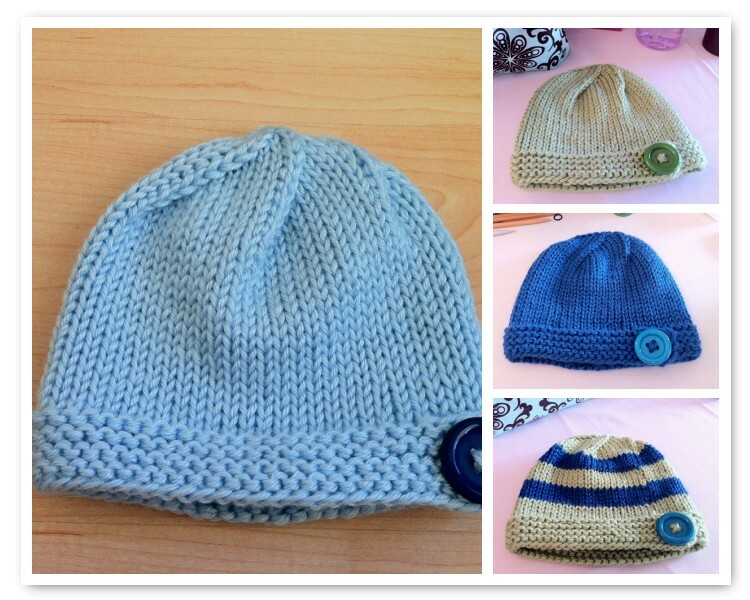 I donated this light blue hat when I arrived on Saturday, and knit the other 3 during the event. The pattern is fibre space Beanie Hat knit with Caron Simply Soft, held double.